and 2001 and results in a non-significant decline in SIDS. 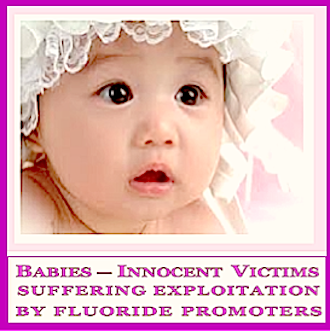 Be ⇒ Fluoride Free For Fertility ! (NaturalNews) There are 130 official ways for an infant to die. These official categories of death, sanctioned by the Centers for Disease Control and Prevention (CDC) and the World Health Organization (WHO), are published in the International Classification of Diseases (ICD). [1-3] When a baby dies, coroners must choose from among these 130 categories. The official causes of death listed in the ICD include nearly every imaginable — and tragic — possibility. However, there is NO category for infant deaths caused by vaccines. This is odd because the federal government is aware that vaccines permanently disable and kill some babies — the very reason Congress established a “death and disability” tax on childhood vaccines more than 25 years ago when the National Childhood Vaccine Injury Act of 1986 (Public Law 99-660) created the National Vaccine Injury Compensation Program (VICP). Many parents don’t realize that when they purchase vaccines for their babies, the cost is taxed and the money goes into a special fund to compensate them if and when those vaccines seriously injure or kill their babies. As of November 1, 2013, more than $2.5 billion was granted for thousands of injuries and deaths caused by vaccines. Numerous cases are still pending. Awards were issued for permanent injuries such as learning disabilities, seizure disorders, mental retardation, paralysis, and numerous deaths, including many that were initially misclassified as sudden infant death syndrome (SIDS). categories really deaths that are associated with vaccination? 2) Are some vaccine-related deaths hidden within the death tables? “My name is Donna Gary. I am a constituent of Senator Kennedy’s from Massachusetts. Our family should have celebrated our very first granddaughter’s first birthday last month. Instead, we will commemorate the anniversary of her death at the end of this month. “Our granddaughter, Lee Ann, was just 8 weeks old when her mother took her to the doctor for her routine checkup. That included, of course, her first DPT inoculation and oral polio vaccine. In all her entire 8 weeks of life this lovable, extremely alert baby had never produced such a blood-curdling scream as she did at the moment the shot was given. Neither had her mother ever before seen her back arch as it did while she screamed. She was inconsolable. Even her daddy could not understand Lee Ann’s uncharacteristic screaming and crying. ‘Could it be connected to the shot?’ her parents implored. ‘No, no connection at all,’ the emergency room doctor said definitely. “My husband and I hurried to the hospital the following morning after Lee Ann’s death to talk with the pathologist before the autopsy. We wanted to make sure he was alerted to her DPT inoculation such a short time before her death — just in case there was something else he could look for to make the connection. He was unavailable to talk with us. We waited two-and-a-half hours. Finally, we got to talk to another doctor after the autopsy had been completed. He said it was SIDS. “In the months before Lee Ann was born, I regularly checked with a friend as to the state of her grandchild’s condition. He is nearly a year-and-a-half older than Lee Ann. On his first DPT shot he passed out cold for 15 minutes, right in the pediatrician’s office. “‘Normal reaction for some children,’ the pediatrician reassured. The parents were scared, but they knew what a fine doctor they had. They trusted his judgment. When it was time for the second shot, they asked ‘Are you sure it’s alright? Is it really necessary?’ Their pediatrician again reassured them. He told them how awful it was to experience, as he had, one of his infant patient’s bout with whooping cough. That baby had died. They gave him his second DPT shot that day. He became brain-damaged. “This past week I had an opportunity to read through printed copies of the hearings of this committee. I am dismayed to learn that this same talk has been going on for years, and nothing has seemed to progress to incorporate what seems so obvious and necessary to keep from destroying any more babies, and to compensate financially those who have already been damaged for life. How accurate are our statistics on adverse reactions to vaccines when parents have been told, are still being told, ‘No connection to the shot, no connection at all.’? 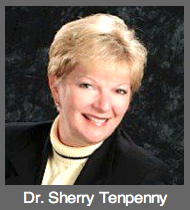 “What about the mother I have recently talked with who has a 4-year-old brain-damaged son? On all three of his DPT shots he had a convulsion in the presence of the pediatrician. ‘No connection,’ the pediatrician assured. “I talked with a father in a town adjoining ours whose son died at the age of 9 weeks, several months before our own granddaughter’s death. It was the day after his DPT inoculation. 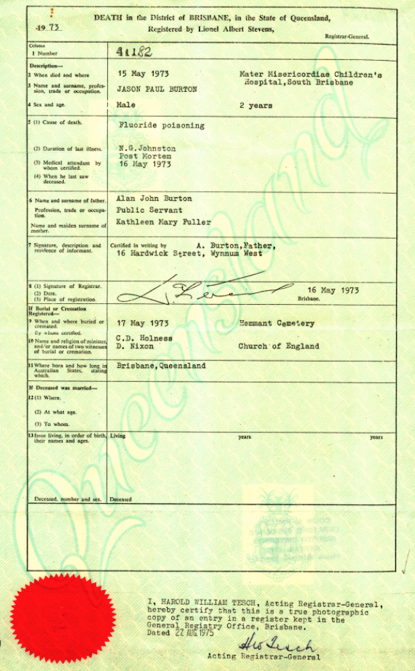 ‘SIDS’ is the statement on the death certificate. “Are the statistics that the medical world loves to quote to say, ‘There is no connection,’ really accurate, or are they based on poor diagnoses, poor record keeping? What is being done to provide a safer vaccine? Who is overseeing? Will it be the same scientists and doctors who have been overseeing in the past? How much longer does the public have to wait? How are physicians and clinics going to be held accountable to see that parents are informed of the possible reactions? And how are those children who should not receive the vaccine to be identified before they are damaged — or dead? In 1992, the American Academy of Pediatrics (AAP) came up with a plan to reduce the unacceptable SIDS rate while reassuring concerned moms and dads that sudden unexplained infant deaths were not related to vaccines. The AAP initiated a national ‘Back to Sleep’ campaign, telling parents to place their infants supine, rather than prone, during sleep. From 1992 through 2001, the post-neonatal SIDS rate dropped by an average annual rate of 8.6%. It seemed as though the ‘Back to Sleep’ campaign was successful and that the real cause of SIDS was due not to vaccinations but from babies sleeping on their bellies. However, a closer inspection of the ICD — the 130 official ways for an infant to die — revealed a loophole. Medical certifiers, such as coroners, could choose from among several categories of death when a baby suddenly expired. They didn’t have to list the death as SIDS. Although the post-neonatal SIDS rate dropped by an average annual rate of 8.6% from 1992 through 2001 following the AAP’s seemingly successful ‘Back to Sleep’ campaign, the post-neonatal mortality rate from ‘suffocation in bed’ (ICD-9 code E913.0) increased during this same period at an average annual rate of 11.2%. Sudden, unexplained infant deaths that were classified as SIDS prior to the ‘Back to Sleep’ campaign, were now being classified as deaths due to suffocation in bed! Although some studies were unable to find positive correlations between SIDS and vaccines[17-19], there is other evidence that a subset of infants may be more susceptible to SIDS shortly after being vaccinated. For example, as early as 1933 the Journal of the American Medical Association (JAMA) published a paper by Madsen documenting the sudden deaths of two infants soon after pertussis vaccination. The first child developed cyanosis and convulsions 30 minutes after vaccination and died suddenly a few minutes later. The second child developed cyanosis 2 hours after vaccination and then died suddenly. In 1946, Werne and Garrow published a paper in JAMA documenting the sudden deaths of identical twins 24 hours after pertussis vaccination. The babies had symptoms of shock throughout the night prior to their fatal reactions. In the 1960s and 1970s Aborigine infants began to mysteriously die at astonishing rates. 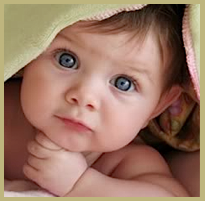 In some regions of Australia, 1 of every 2 babies succumbed to an unexplained death — a fatality rate of 50 percent! Kalokerinos solved the riddle when he realized that the deaths were occurring shortly after the babies were vaccinated. Health officials had recently initiated a mass vaccination campaign to ‘protect’ Aborigine babies; their deaths corresponded with the vaccination program. Kalokerinos realized that these babies were severely malnourished, including a vitamin C deficiency. Their undeveloped immune systems couldn’t handle the additional stress of vaccination. 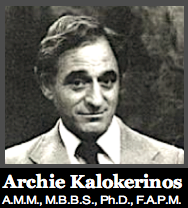 Kalokerinos was able to save other babies from the same fate by administering small quantities of vitamin C (100mg per month of age) prior to their vaccines. In Japan, from 1970 through 1974, there were 37 documented sudden infant deaths following pertussis vaccinations, inciting parents and doctors to reject the shot. In 1975, Japanese authorities reacted to these events by raising the age of vaccination from three months to two years. As a result, the number of vaccine injury compensation claims that were paid out for sudden deaths following vaccination dropped from 37 cases during a 5-year period to just 3 cases during the next 6-and-a-half years (from 1975 through August of 1981). The sudden death rate following vaccination dropped from 1.47 to 0.15 deaths per million doses — a 90% improvement. [23,24] In addition, from the early 1970s (a period when 3-month-old infants were vaccinated) to the mid-1980s (ten years after the age of vaccination was raised to 2 years) the Japanese infant mortality rate (infant deaths per 1,000 live births) dramatically declined from 12.4 to 5.0 — a 60 percent drop! There is other more recent evidence that delaying vaccinations until a later age could save babies from severe vaccine-related adverse reactions, including sudden deaths. For example, the Sage journal Human and Experimental Toxicology (VAERS receives approximately 30,000 reports annually USA. ), published a study by Goldman and Miller that investigated more than 38,000 infant reports filed with the Vaccine Adverse Event Reporting System (VAERS). (This federally mandated vaccine safety surveillance program collects information about possible adverse reactions from vaccines.) Cases that listed either ‘hospitalization’ or ‘death’ were evaluated relative to all infant reports, including those that were non-serious. The hospitalization rate for infants that were vaccinated shortly after birth was an astonishing 20.1% but decreased in a statistically significant linear fashion to 10.7% for infants that were vaccinated just prior to their first birthday. This study also revealed a statistically significant lower mortality rate for infants that were vaccinated between 6 months and 1 year of age when compared to infants vaccinated between birth and 6 months of age. In 1983, Pediatric Infectious Diseases published a study by Baraff et al that analyzed 17 infants that had been vaccinated within 28 days prior to their sudden deaths, which were classified as SIDS. They calculated the expected frequency of SIDS deaths per day and compared that with the actual number of sudden deaths in each of the 28 days after vaccination. A statistically significant number of excess deaths happened in the first week following vaccination (6.75 sudden deaths were expected and 17 actually occurred) — a 250% increase. The greatest number of excess deaths happened within 24 hours after vaccination (0.96 sudden deaths were expected and 6 actually occurred) — a 625% increase over statistical expectations. In 1987, the American Journal of Public Health published a paper by Walker et al, once again confirming an apparent link between vaccination and sudden deaths. Babies died at a rate more than seven times greater than normal within 3 days after getting a DPT vaccination. In 2006, Ottaviani et al published a paper in Virchows Archiv (European Journal of Pathology) documenting the case of a 3-month-old infant who died suddenly and unexpectedly shortly after being given six vaccines in a single injection. After dissecting the brainstem and examining the cardiac conduction system, authors of the study made the following observation: “This case offers a unique insight into the possible role of hexavalent vaccine in triggering a lethal outcome in a vulnerable baby.” They also noted that “any case of sudden unexpected death occurring…in infancy, especially soon after a vaccination, should always undergo a full necropsy study,” otherwise a true association between vaccination and death may escape detection. That same year, another team of scientists (Zinka et al) published a paper in Vaccine documenting six cases of SIDS that occurred within 48 hours following the administration of a hexavalent vaccine. At postmortal examination, these cases showed “unusual findings in the brain” that appeared compatible with an association between hexavalent vaccination and sudden infant death syndrome. In 2011, Statistics in Medicine published a paper by Kuhnert et al that examined an association between multi-dose vaccinations and death. Authors of the paper demonstrated a 16-fold increase in sudden unexpected death after the fourth dose of a pentavalent shot (five different vaccines in one injection) or hexavalent shot (six different vaccines in one injection). “Our beautiful 2-month-old daughter recently died. What was unusual was that earlier on the day that she died, I had taken her to the military base hospital for her two-month checkup. The doctor told me that she was just perfect. Then he said that she needed four shots. I replied, ‘Four!’? She assured me that it was completely normal. ‘SIDS,’ ‘suffocation in bed,’ and death due to ‘unknown and unspecified causes,’ are just three of the 130 official cause-of-death categories that might be concealing fatalities that were really caused by vaccination. Several other ICD categories are possible candidates for incorrect infant death classifications: unspecified viral diseases, diseases of the blood, diseases of the nervous system, unspecified diseases of the respiratory system, and shaken baby syndrome. All of these official categories may be repositories of vaccine-related infant deaths reclassified as common fatalities. For example, a vaccine against rotavirus-induced diarrhea (Rotarix) was licensed by the Food and Drug Administration (FDA) in 2008. However, in a clinical study that evaluated the safety of this vaccine, vaccinated babies died at a significantly higher rate than non-vaccinated babies — mainly due to a statistical increase in pneumonia fatalities. (One biologically plausible explanation is that natural rotavirus infection might have a protective effect against respiratory infection.) Although these deaths appear to be vaccine related, coroners are likely to misclassify them as pneumonia. There are 130 official ways for an infant to die (as categorized in the ICD), and one unofficial way for an infant to die: following an adverse reaction to one or more vaccines. When vaccine-related deaths are hidden within the death tables, parents are denied the ability to ascertain honest vaccine risk-to-benefit ratios and true informed consent to vaccinations is not possible. When families are urged to vaccinate their children without access to accurate data on vaccine-related deaths, their human rights have been violated. Medical health authorities, pediatricians, and the vaccine industry then become criminal accomplices to each infant death caused by vaccines — even when vaccines are not officially acknowledged as the cause of death. Finding ways to increase vaccine safety, providing families with true informed consent, and preserving human rights, must be the top priorities. 1.) WHO. International Classification of Diseases, 9th Revision. Geneva, Switzerland: World Health Organization, 1979. 2.) WHO. International Statistical Classification of Diseases and Related Health Problems, 10th Revision. Geneva, Switzerland: World Health Organization, 1992. 3.) CDC. Table 31. Number of infant deaths and infant mortality rates for 130 selected causes, by race: United States, 2006. Natl Vital Stat Rep 2009; 57: 110-112. 4.) ICD-6, issued in 1948, and ICD-7, issued in 1955, included “Prophylactic inoculation and vaccination” as a separate cause of death category with subcategories (codes Y40-Y49) for death due to “vaccination against smallpox” (code Y40), “inoculation against whooping cough” (code Y42), “inoculation against other infectious disease” (code Y49), etc. The ICD-8, issued in 1965, deleted the subcategories for death due to inoculation against individual diseases while maintaining “Prophylactic inoculation and vaccination” (code Y42) as a separate cause of death category. When the ICD-9 was issued in 1979, authorities removed all cause of death classifications associated with vaccination. 5.) Health Resources and Services Administration. National Vaccine Injury Compensation Program. U.S. Department of Health and Human Services. (Data as of May 1, 2013). 6.) The measles vaccine was administered at 9 months of age from 1963 to 1965. ACIP. Measles prevention: recommendations of the Immunization Practices Advisory Committee (ACIP). MMWR (December 29, 1989) / 38(S-9): 1-18. 7.) Bergman AB, Beckwith JB, Ray CG, eds. Sudden Infant Death Syndrome. Proceedings of the Second International Conference on Causes of Sudden Death in Infants, Seattle and London: University of Washington Press, 1970:18. 8.) Bergman AB. The “Discovery” of Sudden Infant Death Syndrome. New York, NY, USA: Praeger Publishers, 1986: 209 (Appendix III). 9.) MacDorman MF and Rosenberg HM. Trends in infant mortality by cause of death and other characteristics, 1960-88 (vital and health statistics), Volume 20. Hyattsville,MD, USA: National Center for Health Statistics, U.S. Government Printing, 1993. 10.) Malloy MH and MacDorman M. Changes in the classification of sudden unexpected infant deaths: United States, 1992-2001. Pediatrics 2005; 115: 1247-1253. 11.) Willinger M, James LS, Catz C. Defining the sudden infant death syndrome (SIDS): deliberations of an expert panel convened by the National Institute of Child Health and Human Development. Pediatr Pathol 1991; 11: 677-84. 12.) Goldwater PN. Sudden infant death syndrome: a critical review of approaches to research. Arch Dis Child 2003; 88: 1095-100. 13.) Vaccine Injury Compensation. Hearing Before the Committee on Labor and Human Resources; 98th Congress, 2nd Session, (May 3, 1984): 63-67. 14.) Mitchell E, Krous HF, Donald T, and Byard RW. Changing trends in the diagnosis of sudden infant death. Am J Forensic Med Pathol 2000; 21: 311-314. 15.) Overpeck MD, Brenner RA, Cosgrove C, Trumble AC, Kochanek K, and MacDorman M. National under ascertainment of sudden unexpected infant deaths associated with deaths of unknown cause. Pediatrics 2002; 109: 274-283. 16.) Byard RW and Beal SM. Has changing diagnostic preference been responsible for the recent fall in incidence of sudden infant death syndrome in South Australia? J Pediatr Child Health 1995; 31: 197-199. 17.) Vennemann MM, Butterfass-Bahloul T, Jorch G, Brinkmann B, Findeisen M, Sauerland C, et al. Sudden infant death syndrome: no increased risk after immunisation. Vaccine 2007; 25: 336-340. 18.) Stratton K, Almario DA, Wizemann TM, and McCormick MC. Immunization safety review: vaccinations and sudden unexpected death in infancy. Washington DC, USA: National Academies Press, 2003. 20.) 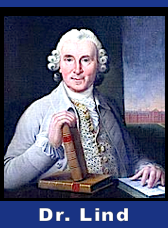 Madsen T. Vaccination against whooping cough. JAMA 1933; 101: 187-88. 21.) Werne J and Garrow I. Fetal anaphylactic shock: occurrence in identical twins following second injection of diphtheria toxoid and pertussis antigen. JAMA 1946; 131: 730-35. 23.) Noble, GR., et al. Acellular and whole-cell pertussis vaccines in Japan: report of a visit by U.S. scientists. JAMA 1987; 257: 1351-56. 24.) Cherry, JD., et al. Report of the task force on pertussis and pertussis immunization. Pediatr (Jun 1988); 81(6): 933-84. 25.) Congressional Budget Office. Factors contributing to the infant mortality ranking of the United States. CBO Staff Memorandum (February 1992): Table 2, International Infant Mortality Rates by Ranking. 26.) Goldman GS and Miller NZ. Relative trends in hospitalizations and mortality among infants by the number of vaccine doses and age, based on the Vaccine Adverse Event Reporting System (VAERS), 1990-2010. Human and Experimental Toxicology 2012; 31(10): 1012-1021. 27.) Torch, WC. DPT immunization: A potential cause of the sudden infant death syndrome (SIDS). Amer Acad of Neur, 34th Annual Meet, Apr 25-May 1, 1982. Neur 32(4): pt. 2. 28.) Baraff, LJ, Ablon, WJ, Weiss RC. Possible temporal association between diphtheria-tetanus toxoid-pertussis vaccination and sudden infant syndrome. Pediatric Infectious Disease Journal 1983; 2: 7-11. 29.) Walker, AM., et al. Diphtheria-tetanus-pertussis immunization and sudden infant death syndrome. Am J Public Health (August 1987); 77(8): 945-51. 30.) Scheibner, V. and Karlsson, LG. Evidence of the association between non-specific stress syndrome, DPT injections and cot death. Proceedings of the 2nd National Immunisation Conference in Canberra (May 27-29, 1991). 31.) Scheibner, V. Vaccination: 100 Years of Orthodox Research Shows that Vaccines Represent a Medical Assault on the Immune System. Blackheath, NSW, Australia: Scheibner Publications, 1993: 59-70; 225-235; 262. 32.) Scheibner, V. Dynamics of critical days as part of the dynamics of non-specific stress syndrome discovered during monitoring with Cotwatch breathing monitor. Journal of the Australasian College of Nutritional & Environmental Medicine (December 2004); 23(3): 1-5. 33.) Ottaviani G, Lavezze AM, and Matturri L. Sudden infant death syndrome (SIDS) shortly after hexavalent vaccination: another pathology in suspected SIDS? Virchows Archiv 2006; 448: 100-104. 34.) Zinka B, Rauch E, Buettner A, Rueff F and Penning R. Unexplained cases of sudden infant death shortly after hexavalent vaccination. Vaccine 2006; 24(31-32): 5779-5780. 35.) Kuhnert R, Hecker H, Poethko-Muller C, Schlaud M, Vennemann M, Whitaker HJ, et al. A modified self-controlled case series method to examine association between multidose vaccinations and death. Stat Med 2011; 30(6): 666-677. 36.) Unsolicited correspondence received by the Thinktwice Global Vaccine Institute. 37.) GlaxoSmithKline. Rotarix1 (Rotavirus Vaccine, Live, Oral) Oral Suspension. Product insert from the manufacturer (April 2008): 6. 38.) FDA. Center for biologics evaluation and research, vaccines and related biological products advisory committee meeting (February 20, 2008): 127-128. 39.) Buttram H and England, C. Shaken Baby Syndrome or Vaccine-Induced Encephalitis: Are Parents Being Falsely Accused? Bloomington, Indiana: Author House, 2011. 40.) CDC. About the sudden unexpected infant death investigation (SUIDI) reporting form. Department of Health and Human Services (accessed May 13, 2013). Vaccine Safety Manual for Concerned Families and Health Practitioners; Make an Informed Vaccine Decision for the Health of Your Child (with Dr. Mayer Eisenstein); and Vaccines: Are They Really Safe and Effective? Past organizations that he has lectured for include the International Chiropractic Pediatric Association, Maximized Living, the International College of Integrative Medicine, Autism One/Generation Rescue, the Hahnemann Academy of North America, and Dr. Gabriel Cousens’ Culture of Life Institute. Mr. Miller is a frequent guest on radio and TV talk shows, has a degree in psychology, and is a member of Mensa. + Info on Lyme Disease. to obfuscate link between vaccines and autism. Fluoride avoidance reduced anaemia in pregnant women, decreased pre-term births and enhanced babies’ birth-weight, concludes leading fluoride expert, A K Susheela and colleagues, in a study published in Current Science (May 2010). New York City Council member Peter Vallone, Jr.
warnings on the city’s water bills. laws requiring infant fluoride warnings for water customers. What Toxins Are Causing Alzheimer’s Disease? was that they don’t want fluoridation.